Staying in control on the job site is a key factor to displaying strong SafetyDNATM. 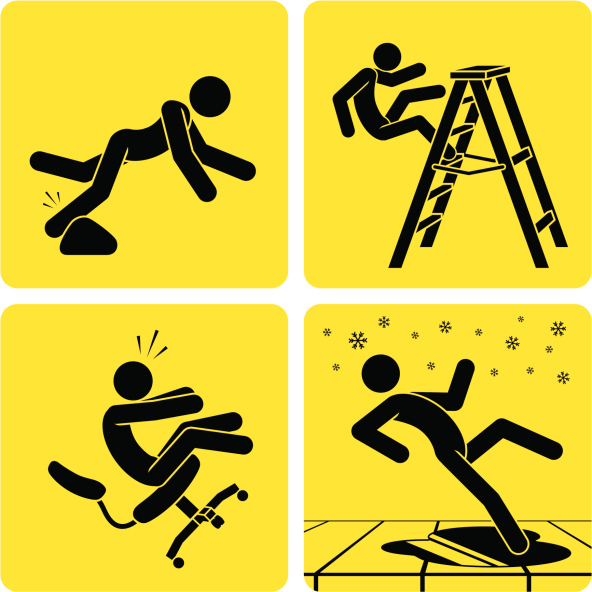 Individuals low in personal control are more likely to experience an injury at work. On average, those individuals incur 2.6 times more accident-related medical costs to the organization, compared to those high in control. Although some of us are hard wired to exhibit greater control than others, we can all take steps to improve our SafetyDNA, and reduce our personal exposures to risk. Let’s take a look at three strategies for increasing personal control at work. No more making excuses for unsafe behavior or unnecessary risks – take ownership of your personal safety. Hazards may exist at your job site, but your behavior dictates to a large extent whether or not they will result in you being injured. Understanding that safety incidents are not inevitable, nor about luck, will help you take control of the risks on the job. Everyone wants to go home every day the same way they came in, so it just makes sense to take all precautionary steps that will minimize your risk. But these steps must be proactive. They require you thinking ahead 2 or 3 steps before you do your daily tasks and routines. This includes surveying your work area at the start of your day/shift, driving alertly and without distractions, remaining calm and focused during stressful parts of the day, and taking the initiative to improve safety wherever possible, rather than waiting for “someone else to take care of it.” Our coworkers often depend on us for their safety as well, so consider what behaviors you would expect of others if your safety was in their hands, and act accordingly. We all experience some level of stress at work, but how we react to stress can have a major impact on our safety. For those of you prone to losing control of your emotions at work, numerous techniques (such as breathing exercises, taking a short time-out to collect your thoughts, and talking to others) are available to help you maintain emotional control, so begin trying a few to identify one or more that work for you. These simple steps can help you to Stay in Control more often, which will improve your personal safety and the safety of those around you.